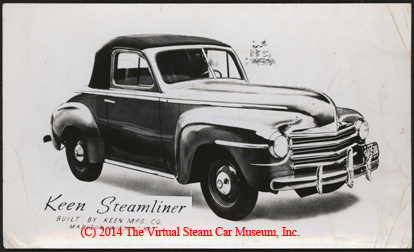 The Keen Steamliner was built in Madison, WI. 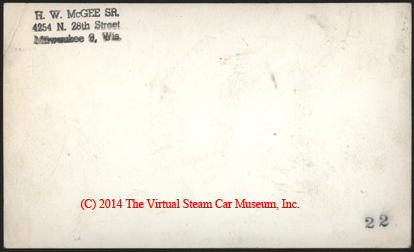 This advertising card carries the stamp of H. W. McGee of Milwaukee, WI on the reverse. It came from the Nichols Estate. 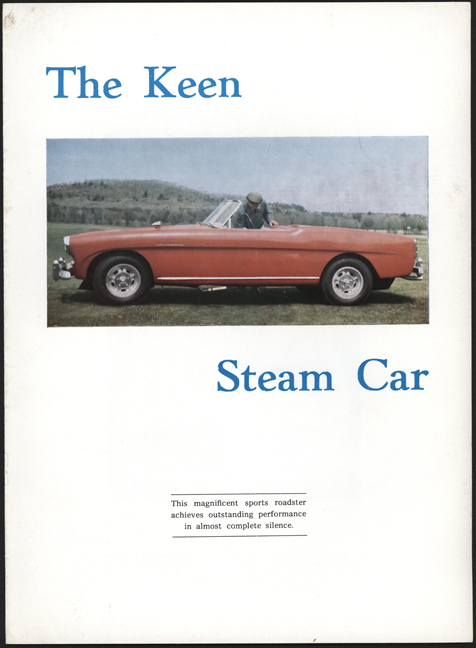 The Keen Manufacturing Company produced a second steam car about 1961. Contact us if you have additional information about the Keen Manufacturing Company, or if you have questions.